5 Questions with Neil Patel (@neilpatel), Digital Marketing Rockstar! - Wood Street, Inc.
Neil Patel is a master at conversion. Starting with his own company, he learned how to generate traffic and leads out of necessity. He had no money and the marketing firm he hired failed miserably. So, he rolled up his sleeves and got to work. Now he is one of the most sought after digital marketers in the world. You’ll find his articles in Forbes, Inc., Fast Company, and of course on his own blog. The best thing about Neil is his passion for helping small businesses. Know how I know this? Whenever I email him, he replies. And when I asked him to do this interview, he was quick to say yes, even with his busy schedule. You seem to be everywhere! I’ll be reading a really useful article and boom, you’re the author! 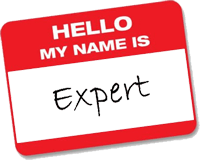 What advice would you give a business owner trying to establish themselves as an industry expert? Just share your experience and story in the most relatable way possible. I think my articles resonate with people because I’m just like everyone else — I had no leg up from the get go. At the end of the day your goal should be to help as many people out as possible. That’s the mark of a true industry expert in my opinion. You founded KISSMetrics, an analytics solution and still one of my favorite blogs. Where do you think companies struggle the most when it comes to their data? I think the biggest problem people have with data is interpretation. Finding actionable insights is always a challenge — having tools to help you translate your data is essential. Without understanding your data you won’t know what changes to make in order to grow your business. Marketing Automation seems to be all our clients are talking about these days. What are some common marketing automation mistakes you’ve seen that are easily avoided? The biggest mistake I see people make is letting things go on cruise control. Automation is there to supplement other efforts not to replace them. No matter what marketing automation tool you are using, you need to continually adjust your campaigns in order to see the maximum revenue growth. So many organizations will launch a website and then occasionally look at their analytics and/or track leads. What’s the biggest thing they’re missing with this lacs approach? They are not taking the time to understand their ideal customer persona. All leads are not equal… you should be focusing on high quality leads instead of just looking at how many total leads you are collecting. Your company Crazy Egg, which has a really cool heatmap tool right on the homepage, offers website visualization tools. What sort of information can a marketer get from a heatmap that they couldn’t get elsewhere? Heat-maps are super valuable when you have a website. They pinpoint where on the site people’s attention is going and where they are clicking. When you can figure out where people are going on your website you can make sure all your calls to action and important items are prominently placed. This will help you generate more sales or leads.